Just wondering do you get confirmation that they got your order or do you get tracking number when your order is shipped? I am interest in all 3 lights. Thanks again for the group buys! Hi I am interested in number 3 niwalker mm18lll. Thanks. I think they do away with the confirmation as they are held up with other product line. I got mine without it too. I would be interested in the price of the MiniMAX MM18III (with shipping to Austria – I don’t know how shipping is handled here ^^). Sorry for the slow reply. Received overwhelming amount of messages during the period from other group buys. Hi, I was just wondering if there was a way to confirm your order. I have to check with Niwalker first. Good day! I am interested! One MM18III Thanks! Dear FreeMe, I understood and wait for Your answer. Finally got mine after it was shipped back to Hong Kong because the courier tried to deliver it after hours. They didn't let you claim from their postal office, and sent it back to HK? ... it was shipped back to Hong Kong because the courier tried to deliver it after hours. They didn’t let you claim from their postal office, and sent it back to HK? … it was shipped back to Hong Kong because the courier tried to deliver it after hours. Carrier only tried to deliver it once after 6pm at a business. when we found out it was already on it’s way back to Hong Kong. Niwalker Aurora C11 XP-L2 promotion is ON! Do you have any pictures or description? I have no idea what that is. Do you have any pictures or description? 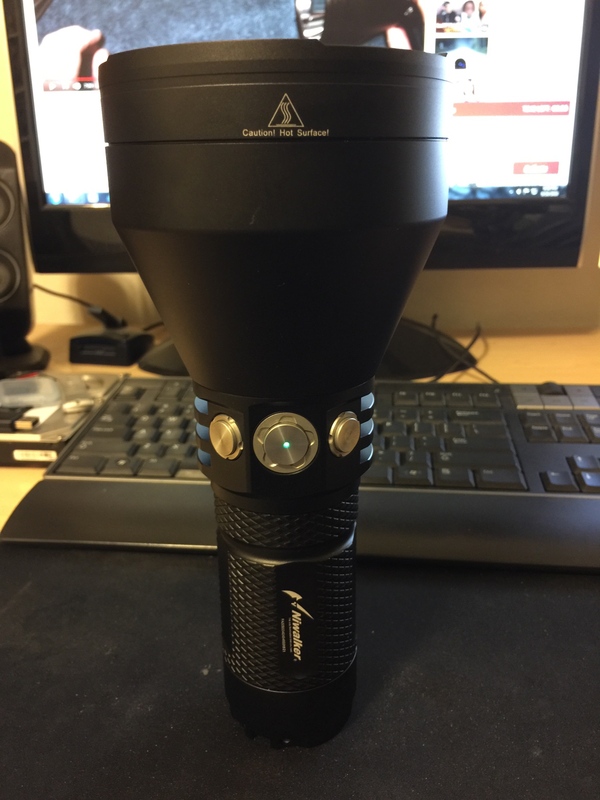 AURORA C11 - brightest single XP-L emitter flashlight in my collection. 40000cd seems high for this form factor, has that been verified by anyone? Yes, rating is inaccurate. I post my review soon. My luxmeter shows 7250 lux/1m (cd). So to say the spec isn’t accurate is an understatement!